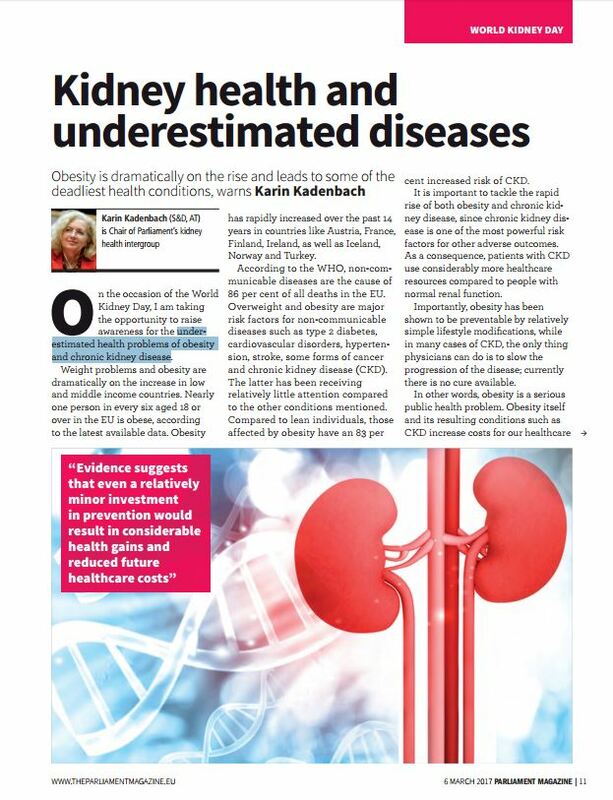 On World Kidney Day 2017, MEP Karin Kadenbach, Chair of the MEP Group for Kidney Health raised her voice to highlight the underestimated health problems of obesity and chronic kidney disease. Her article issued in the EU news outlet “Parliament Magazine” is available here. Read EKHA Press Release for World Kidney Day 2017! EKHA fully endorses World Kidney Day and supports the Joint Position on Kidney Disease and Obesity by the World Kidney Day and the World Obesity Federation.